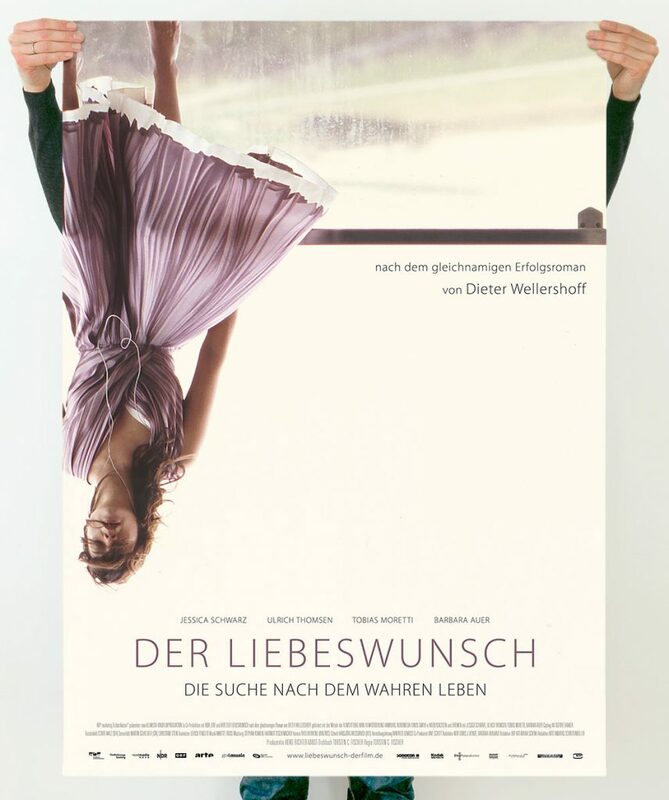 Poster for the movie „Der Liebeswunsch‟. 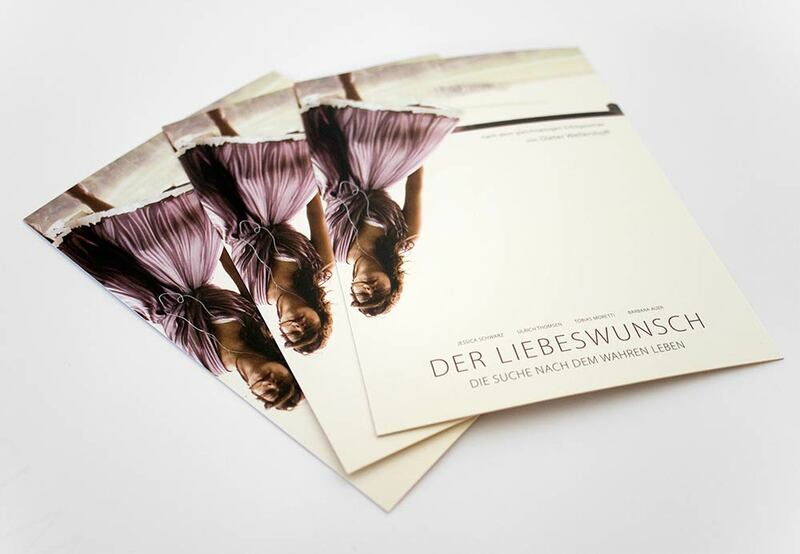 Der Liebeswunsch portrays the emotional life of Anja, who is destabilizes herself more and more pursuing to fulfill her desire for love. The poster shows Anja balancing headfirst on a balustrade. The turned image symbolizes her instability – eyes shut, earphones plugged, she gives herself away to her emotion, ignoring any danger whilst playing with it at the same time.